Take a look across the rolling hills and winding coastline of Cornwall and you’d be forgiven if the fast-paced worlds of technological innovation and business growth aren’t the first things that pop into your mind. But scratch the surface and you’ll find something very different – a highly-connected environment that’s set up to support and enable global business success. With vast resources ranging across sectors and robust infrastructure connecting Cornwall to the rest of the UK and the world, there’s a lot more business potential here than you might expect at first glance. The rise of the digital economy has had a huge impact on Cornwall. Today, millions of businesses are free to do what they do best anywhere with a high-speed internet connection – leading many to seek out a more peaceful and productive environment to work in. Cornwall has pioneered the UK’s programme for Superfast Broadband, helping to reach over 95% of the region, including 30% of Fibre-to-the-Premises (FTTP) connections. 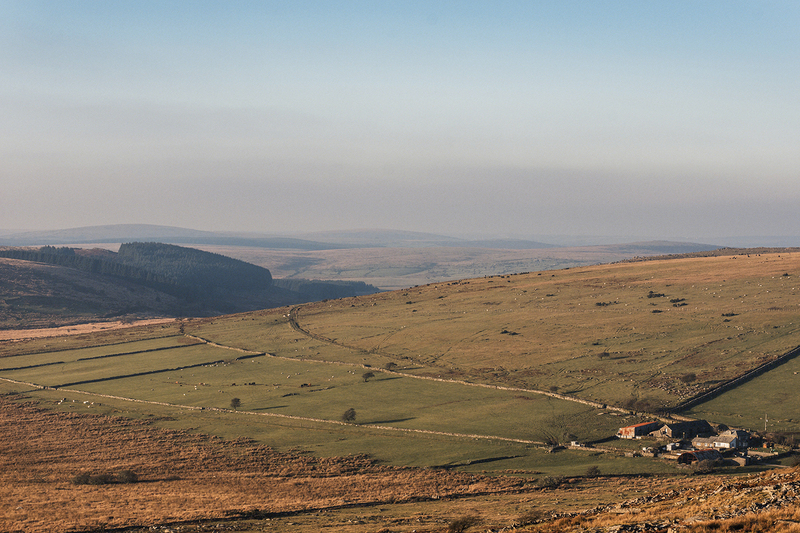 With access to some of the best connectivity, and speeds of up to 330mbps, it is the world’s biggest rural fibre broadband network. Superfast Broadband isn’t the only thing that keeps Cornwall connected to the rest of the world. With strong rail links and direct flights that can get you to London in just over an hour, being a world away from the hustle and bustle of the city doesn’t have to mean putting it out of reach. 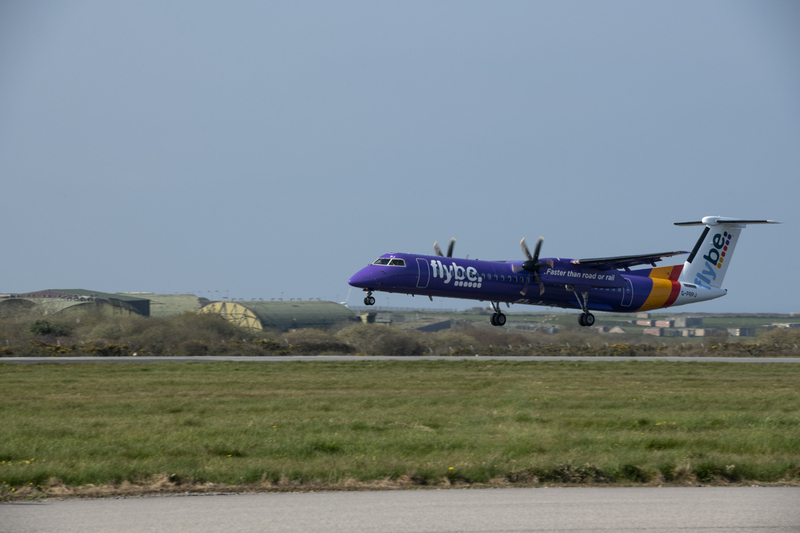 Plus, thanks to Cornwall’s expanding flight network at Cornwall Airport Newquay, the regions links are only getting stronger. With the same great connections and access as other, more urbanised areas of the UK, the pull of the unparalleled lifestyle makes working here an easy choice. Physical connections are important. But as a growing business, you need to work somewhere where your ideas can reach the rest of the world too. Cornwall is a hive of research and development in new technology, new products and new ideas. The region is built on innovation, and it’s something we continue to actively support and encourage across multiple industries today. For businesses operating in certain industries, the most densely-populated places aren’t always the best starting point to get new ideas off the ground. Often, a simpler environment offers much greater opportunities to sell-in innovative ideas. Health technology: Strikersoft, a Swedish IT company that recently established an office in Cornwall, used the regions streamlined points of entry to its advantage. The company has formed an eHealth partnership with Royal Cornwall Hospital Trust (RCHT), following a chance meeting with the Invest in Cornwall team at a heath technology event in Sweden. Agritech: ABS Cornwall is another great example of how businesses can succeed following an expansion into Cornwall. The New Zealand company has used Cornwall as a gateway to extend a branch of its organisation into the UK market. The synergy between their company’s goals and the resources in Cornwall made it the ideal next step for their business. Digital: Cornwall’s Superfast Broadband coverage and connectivity has encouraged and enabled many businesses to extend globally, like Spider Eye, an award-winning BAFTA nominated UK Animation Company with a global client base including the BBC, Disney and Cartoon Network. Empowered by Cornwall’s connectivity, they moved their whole business from London the most westerly town in Britain, St Just. Sanders Studios is a creative visualisation agency based in Falmouth. The company creates immersive digital imagery for clients across architecture, design and luxury brand – bringing new concepts and designs to life in a stunning way that gets noticed. The company was born in Cornwall, but has since established a foothold in London, and built up an impressive portfolio of globally-recognised international clients. We caught up with Head of Communications Josh Neve to discuss how being based in Cornwall has helped Sanders Studio gain international success and notoriety for its exceptional work. For a digital business like Sanders Studios, connectivity is the foundation of effective international trade. 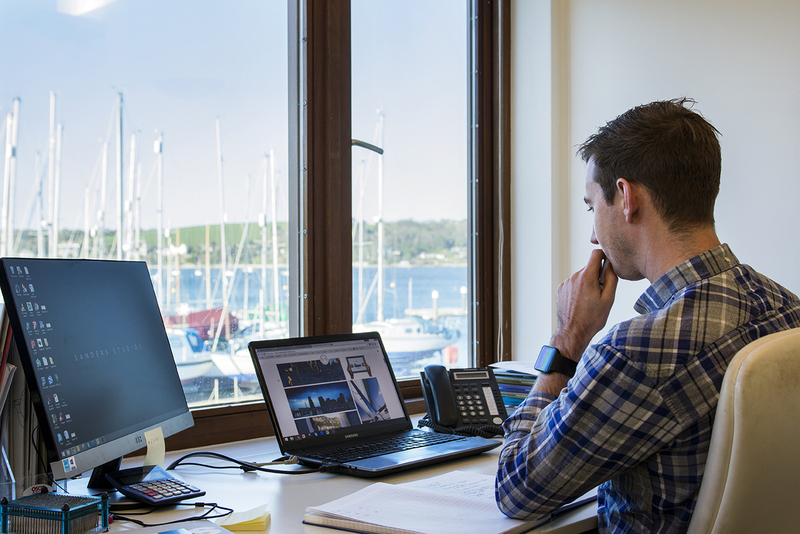 “We’re constantly transferring huge files between locations and jumping on conference calls with international clients, so Cornwall’s superfast broadband connectivity has been a major boon to us. It has given us the platform to work effectively here” says Neve. Now, Sanders Studios has its sights firmly set on securing more valuable international clients and partners. “We’ve worked closely with Cultivator and UKTI and accessed vital support to help us effectively trade internationally. Thanks to them we’ve secured a bursary to conduct a market visit to New York and Miami, a trip that should prove hugely valuable in terms of new international business” remarked Neve. With a strong tech and connectivity foundation, abundant creative talent available on their doorstep and local support to reach out to new international clients, being in Cornwall has proven instrumental to Sanders Studios’ growth and enabled it to thrive internationally. If you want to find out how Cornwall Trade & Investment can help your business by getting in touch with the team today.